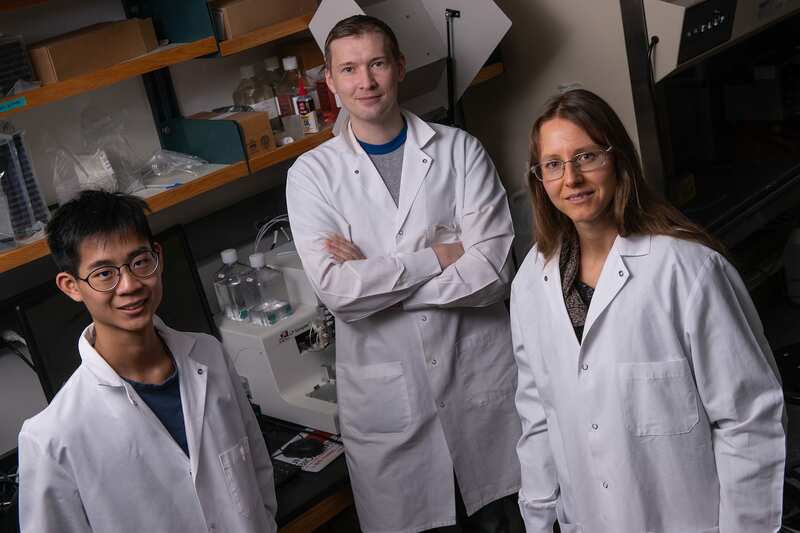 HOUSTON -- (March 13, 2019) -- Using roundworms, one of Earth's simplest animals, Rice University bioscientists have found the first direct link between a diet with too little vitamin B12 and an increased risk of infection by two potentially deadly pathogens. Despite their simplicity, 1-millimeter-long nematodes called Caenorhabditis elegans (C. elegans) share an important limitation with humans: They cannot make B12 and must get all they need from their diet. In a study published today in PLOS Genetics, researchers from the lab of Rice biochemist and cancer researcher Natasha Kirienko describe how a B12-deficient diet harms C. elegans' health at a cellular level, reducing the worms' ability to metabolize branched-chain amino acids (BCAA). The research showed that the reduced ability to break down BCAAs led to a toxic buildup of partially metabolized BCAA byproducts that damaged mitochondrial health. EDITORS -- High-resolution images are linked at the end of the news release. If you do not wish to receive news releases from Rice University, reply to this email and write "unsubscribe" in the subject line.